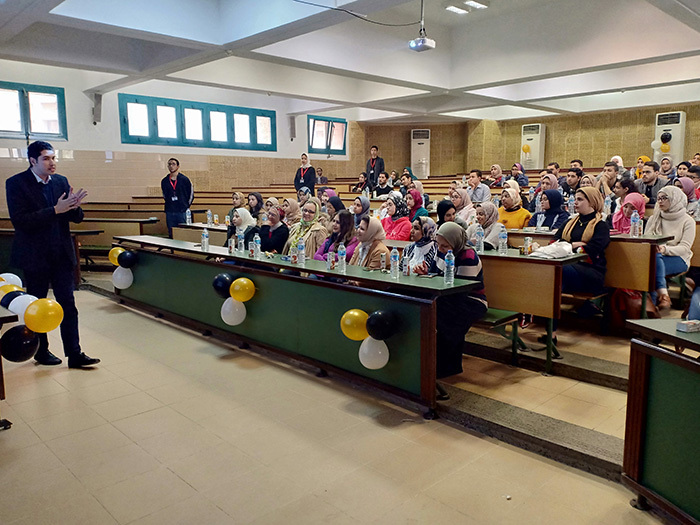 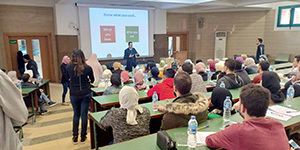 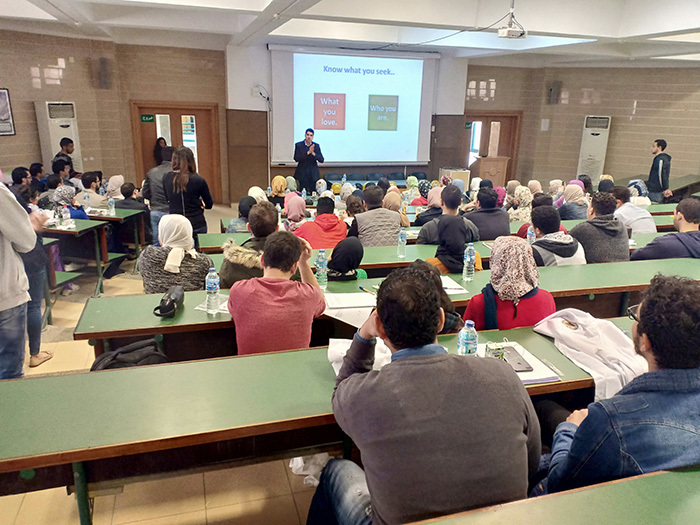 The faculty of Pharmacy and Drug Manufacturing held a seminar on “The Requirements of the Labour Market” on Tuesday, 12 March, 2019. 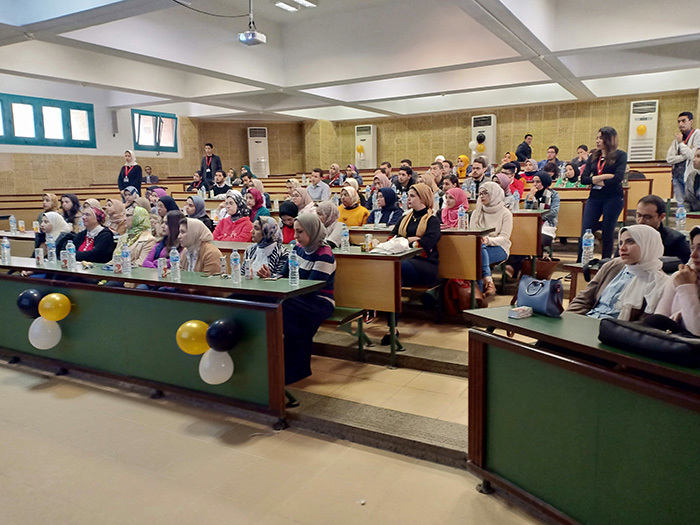 The seminar was given by some of the faculty graduates who came to acquaint the attendees with some aspects of the different fields they joined. 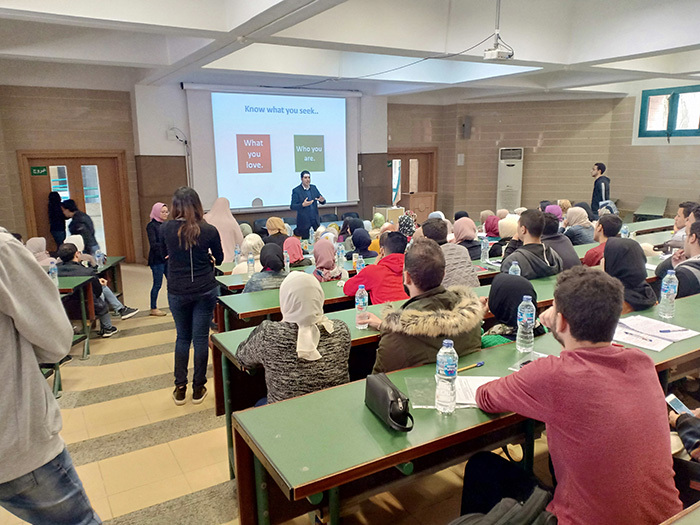 This was held from 12.30 pm to 2.30 pm – room C118. 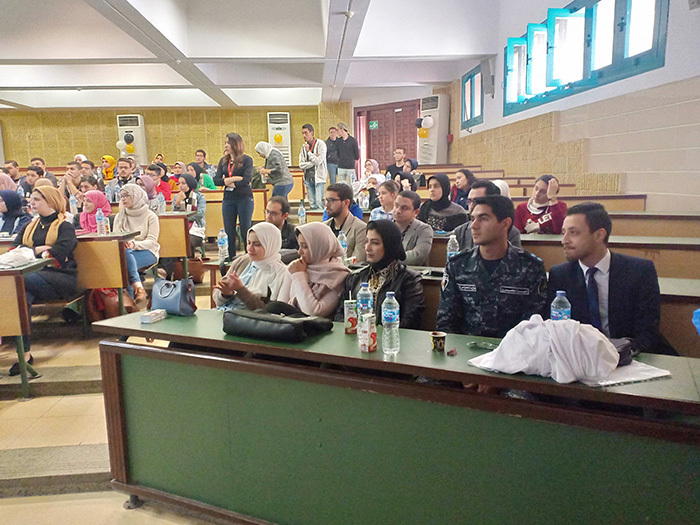 The seminar was attended by a large number of academic staff members and 75 students.